Fake Antivirus Software which themselves are viruses - Beware! Generally the user is not having much advanced knowledge to how to stay secure in this world of WWW. So he generally uses one or the other antivirus programs which in turn keeps monitor on the system to stay the user safe. What is Antivirus and how does it works? Antivirus is a software program which is built to monitor the user system for all the known threats. That means it has a database of all the known threats, when your system comes across any of such threats it protects you as it has ability to resolve the treat or if not possible to clean at least it can stop the threat to attack the user system. Again it can protect you with all the threats which are known to the software company whose antivirus you are using. All the antiviruses keep on updating their virus definition database as soon as they come across any such threats. But do you know, you, me or anyone with some programming skills can create a new virus, which in turn won’t be detected by the Antivirus. Why? Because that virus is still unknown to the Antivirus company. It takes some time to the company to identify the threat and release the updates. Whereas the user unaware of this entire thing thinks that he is totally protected from the viruses and various other threats. So it’s good to have an antivirus software installed in your system, but it is also required that you stay alert to avoid unnecessary security issues in your system. Let me tell you some of the Virus Programs, which claim that they are Antiviruses. So Next time you come across such situation, stay alert! Your Information security could be in danger. Free… When the user read this word free, he just clicks on that application and that application will scan your system and tell you that you 400+ errors/viruses and, you need to purchase to the full version to fix the problem. The problem doesn’t end here. Even if you decide to not to buy the software, you won’t be able to uninstall the demo application which you installed to scan your PC. 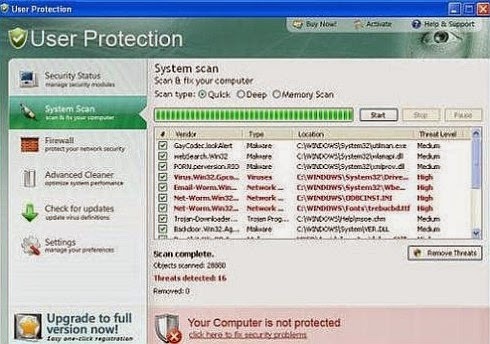 Many applications which were working perfectly fine before installing this so called Virus scanner, now doesn’t work. Your PC started giving you error message and your PC starting crashing every now and then. This is not because of the viruses the antivirus program which you downloaded from internet reported you. It is that same program which is the reason behind the error messages, frequent crashes. This is just a marketing skill. Once you start facing such issue, you feel that the PC is infected with virus and you buy that fake antivirus by paying large amount of money. 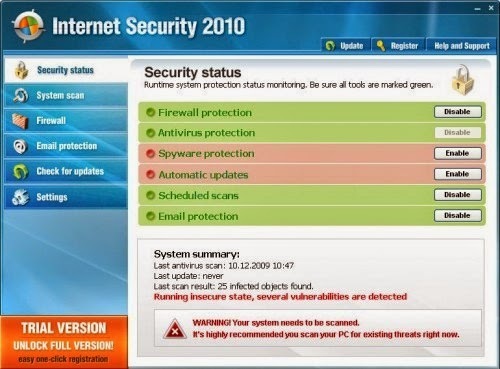 So next time when you are buying any new antivirus, it is always advisable that you take advice of some expert person and also never ever use any of the online scanner, antivirus tools claiming that you have virus in your PC. They are nothing but fake malwares. Let me show you some of the most famous Malware or fake antivirus which claims to be best antivirus programs.Most famous and the one which tops the list is Rouge Scanner. This scanner is available on many torrent sites, free download sites. 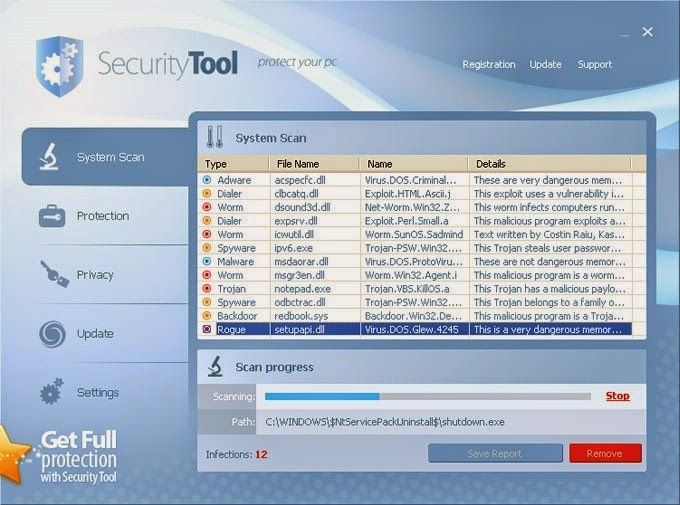 It claims itself as free online scanner and antivirus program. Which on scanning will give you lot of fake virus alerts and to fix this issue you have to buy the full version. Names are very much similar to the security application of Windows, that is Windows Defender and generally MS is used as a short form for Microsoft. But be aware there are fake antivirus programs. Just using such names to disguise the users and to prove it that it is an authentic Antivirus program. Once installed this software, you won’t be able to uninstall the software and even your antivirus on most cases doesn’t warn you for this kind of fake antiviruses. Another such fake antivirus program is Security tool also known as Total security. It displays the security alert which is exactly similar to one’s which appear in windows defender for Vista and Windows 7. 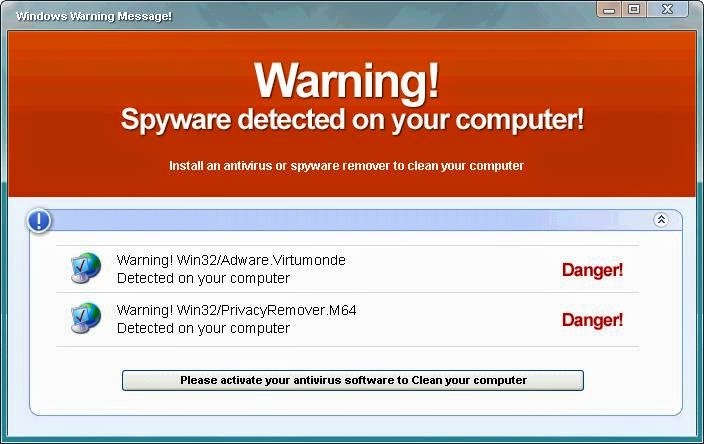 Screen similar to Windows Security alert can disguise anyone and can fall in to the trap of fake antiviruses. The name is similar to one of the most famous and prestigious antivirus software i.e. Norton Internet Security, but always have a keen eye and be aware that this is a fake antivirus program. Also known as IS2010, after installation blocks YouTube, Facebook and many more important website’s access and thus forcing user to buy the full version by paying hefty amount of money. It displays many fake error messages saying that all your data will be corrupted and so on making user forcibly buying the full version of this fake antivirus program. 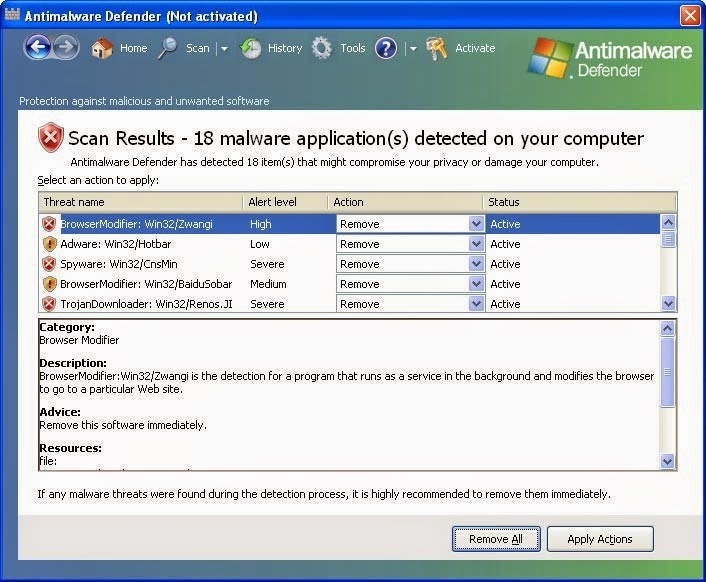 This fake antivirus/spyware is often disguised as a Windows Defender from Microsoft. 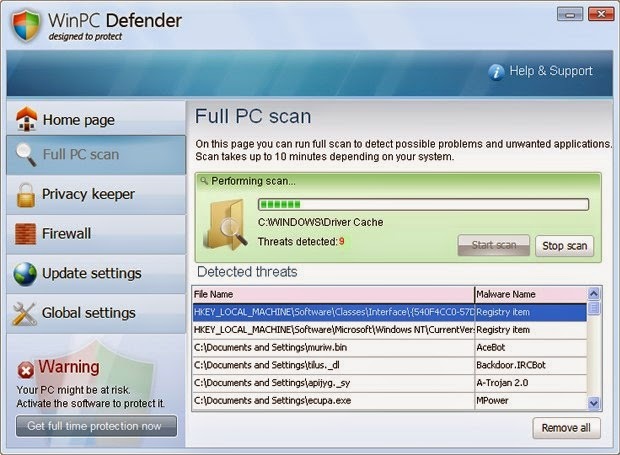 It is almost impossible to distinguish between the original windows defender screen and with this fake anti-malware defender screen. This fake antivirus will block up your browser and constantly keeps on showing fake virus alert messages. Again one of the famous fake antivirus programs, it propagates through fake video codec’s manipulated to any website which display videos streaming such as YouTube. When you try to view the video in the browser it will ask you that the plugin is missing. Once you click on install plugin, along with the codec this fake malware get installed in the user system. This fake application has ability to block your applications from running it properly; it could also result in system crashes. This list is never ending and it keeps on changing their names and their functionality of working from time to time. The main thing to keep in mind is never trust any application from internet until and unless you are totally downloading from trustworthy websites. Also never accepts any such error message which claims that your PC is infected with virus or so. Never use any such application which claims that by fixing your registry it can speed up your computer. All those applications are mere marketing skills to earn money by faking people. Stay Safe, Play Safe! Any issue do let us know by commenting below, will definitely try to help you.